People who inspire us wearing Etérea. Danie Gomez-Ortigoza from @journeyofabraid wearing our “Rainforest Bodysuit” in the Wynwood Arts District, Miami, Florida. 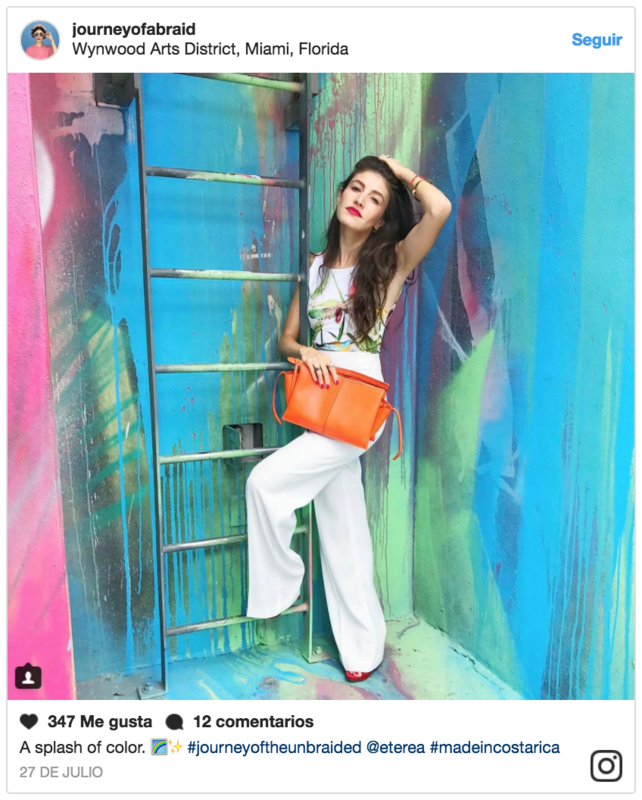 This top fashion blogger was highlighted, on August 29, as one of the four Fashion Bloggers in Miami “that you’ll want to follow on Instagram”, according to the platform Who What Wear.